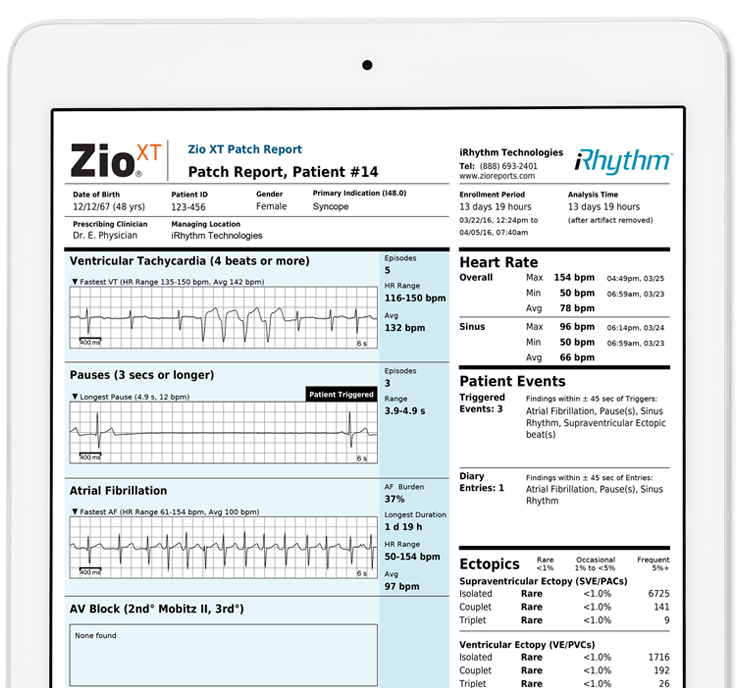 Extended ambulatory cardiac monitoring with Zio gives you a larger and clearer window into your patient’s heart rhythm. Up to 14 days of uninterrupted monitoring helps ensure you don’t miss critical information. Find the answers you need in a single test and provide superior clinical service for your patients. Zio XT is covered by all major commercial insurance companies and Medicare. Prescribe superior monitoring to those who need it — we'll take care of the rest.  The Zio report provides extensive detail in a clear and concise format. Easily find the answers you need to give your patients the care they deserve. As an active mid-fifties woman with a busy athletic life-style, being diagnosed with serious AFib needing continuous monitoring was a huge blow to me. When ZIO® XT Patch came along as a viable substitute to my prior monitoring system, I was thrilled that I could now exercise, shower, and engage socially without the visible stigma. I felt I was reclaiming some of my life back. 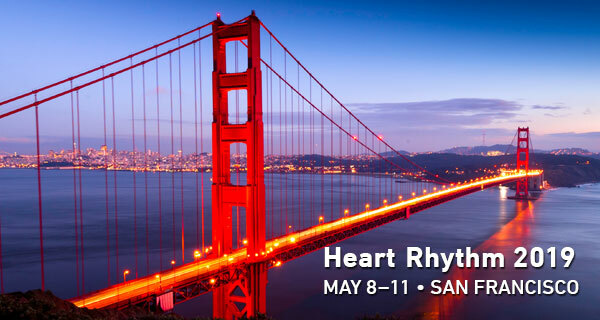 I have been in cardiology for 29 soon to be 30 years and over those years I have used many different monitors to decipher patients with rhythm disturbances. The majority of times the results would show benign rhythms with the occasional SVT. I have been using the ZIO Patch for quite a few years now and in studying the results we have found non sustained V Tach over 100 times, we have found pauses that have called for pacemakers, long runs of SVT at over 190bpm, two of those patients had worn a variety of other monitors with no abnormal results. I could go on and on but I will say this, I will not use another type of monitor than the ZIO Patch, it has caused very ill patients to receive the proper treatment. Nobody knew I was wearing the patch. I could do my work, perform my daily routine without catching wires and I could shower. I was relieved to be able to resume my active family, work and recreational activities. I urge other patients who suspect AFib or are at increased risk to see their doctors promptly. I felt like a normal human being with ZIO® XT Patch. I didn’t have to explain myself to people. You get scared because it’s your heart, but it’s curable. The technology is so far advanced today. People should not have to suffer, especially if they know to get to the doctor quickly. Physicians need to know if stroke or TIA patients have an underlying cardiac arrhythmia which may have caused their neurological event, as this will impact treatment to help prevent a recurrence. Continuous long-term cardiac monitoring is essential to detect AFib, which may occur infrequently and often has no symptoms. However, many of the available monitoring options do not capture enough data or record for a long enough period of time, are burdensome for patients to wear or are too expensive.